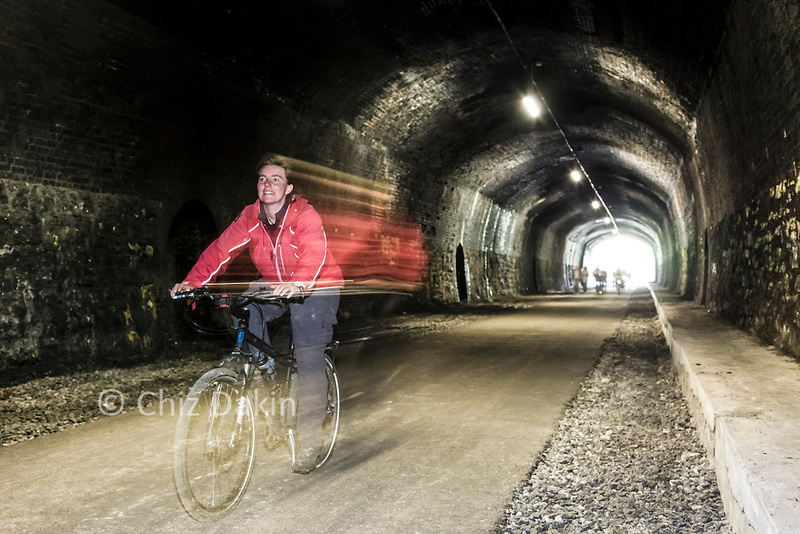 Cyclist riding through the Headstone tunnel on the newly re-opened Monsal Tunnels section of the Monsal Trail. Long exposure with additional flash. © Chiz Dakin 2016. All rights reserved.